If messy rooms are driving you crazy before the year has even begun, these smart storage solutions are sure to be just what you need. Children are, by nature, messy. As exhausting as it can be to have to constantly remind old kids and teens to pick up after themselves, the mess is all part of the learning experience. While there’s is not always much you can do to prevent the inevitable pile-up of toys, clothes, and chaos, you can make it easier for your little one to get organised with the help of these clever storage solutions. Rather than aiming for more storage space, try to aim for less clutter. At least twice a year, do a big clear-out with your child. Helping kids see the value in decluttering from an early age offers the chance to learn some valuable life-skills as they grow. Toys and clothing that are not used can be donated and things that are still in use can be stored without having to vie for space on crowded shelves. One way to keep clutter down to a manageable level is to invest in a versatile storage unit such as the Shelfie Combi 5, which has ample storage space, and just enough surface space for a computer or laptop. 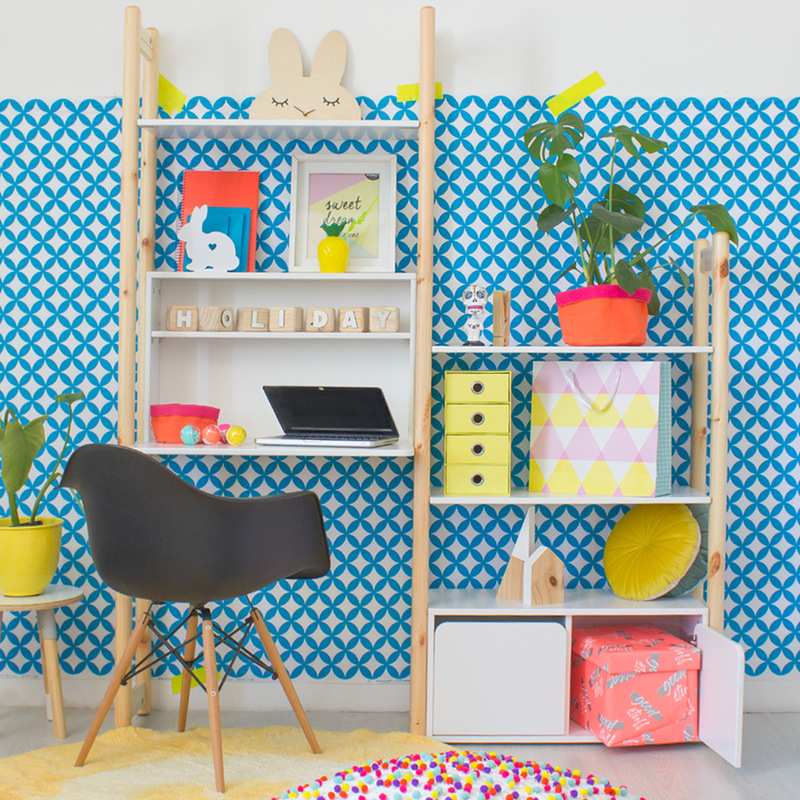 This unit pairs well with the Flexa Play range which has storage benches and wall shelves. 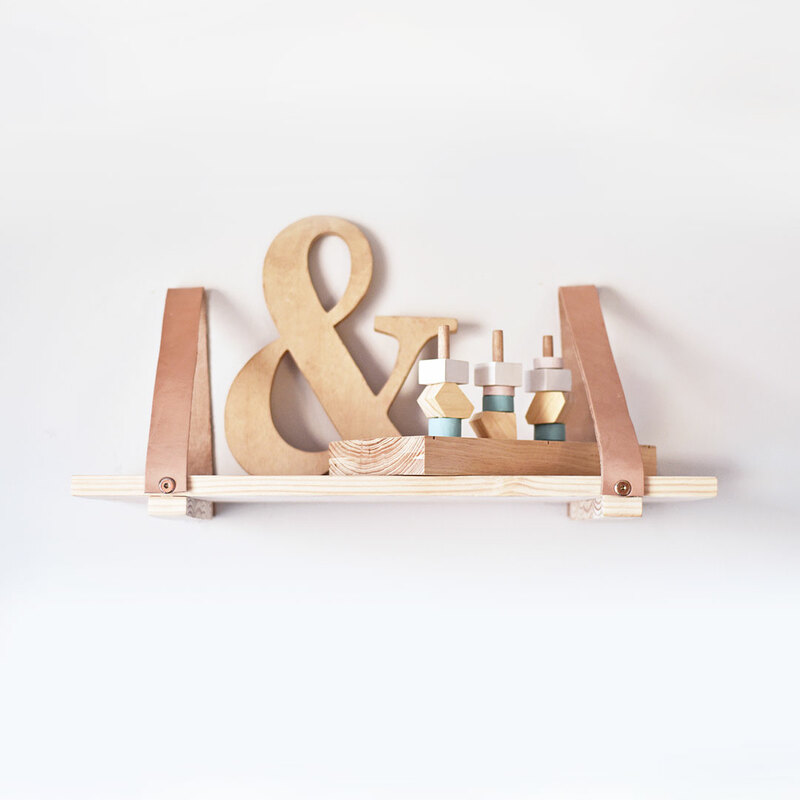 Wall shelves are a great way to display decor items without taking up much room. Mess usually happens when there is too much surface and floor space, and not enough storage space. Homework, art supplies, toys, clothing, cups, plates, CDs, books, and various other items are often put down in the first free space. All too often, this will be on top of tables, desks, bookcases and other surfaces that are easy to reach. Wall-mounted shelves such as the trendy Mumu & Me Leather Strap Shelf or the Book Display Ledges offer additional space for placing books, keepsakes and art supplies, reducing clutter while showcasing special items at the same time. Although the old adage of out of sight and out of mind does not always apply to messy rooms, covered storage can nonetheless help to reduce the visual impact of a less-than-tidy room. The simplest way to avoid a mess is to have a place for everything. Open shelving can quickly start to look chaotic, but covered storage and baskets look far tidier. The Flexa Play Bench & Storage Box is a great way to keep toys and other items packed away when not in use. Colourful baskets and tubs are another fun way to keep things tidy. 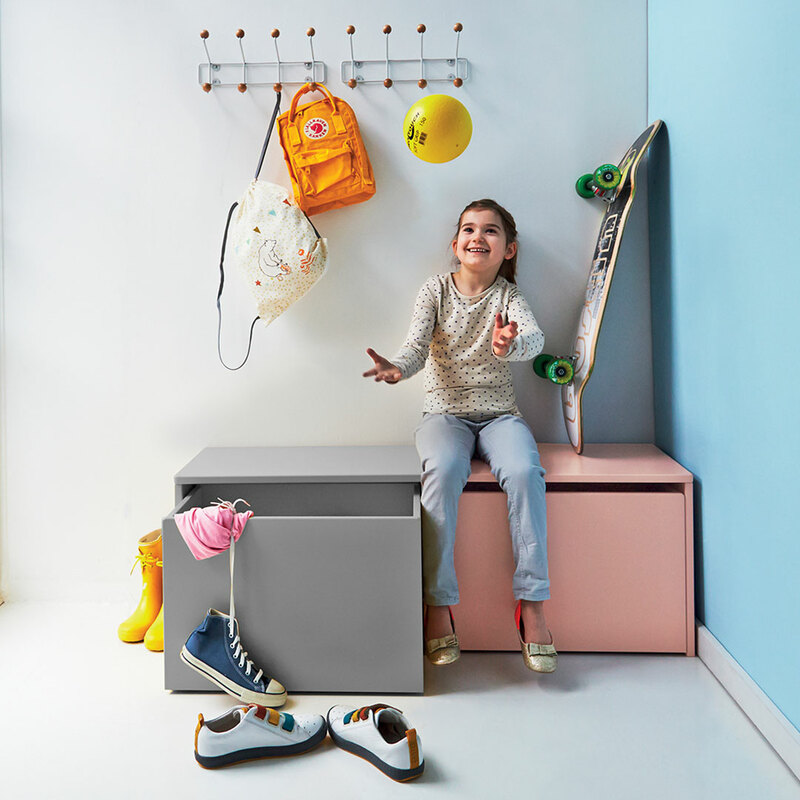 Be sure to browse our range of kids storage solutions to see what else we have to keep messy rooms in order.